REUTERS –– Poverty in Peru decreased last year, helped by the expansion of the economy, but it still affects one third of the population in one of the fastest growing countries in the world, according to figures released Thursday by the government. The poverty level fell 3.5 percentage points last year compared to 2009, to 31.3 percent, said the National Statistics Institute (INEI). This means that about 9 million Peruvians still live in poverty. With this decline, President Alan García almost meets his goal of reducing poverty to 30 percent during his five year term, which ends July 28. When García took office, 44.5 percent of Peruvians lived in poverty. The reduction in poverty has been in the hands of the sizzling growth of the Peruvian economy, which last year, for example, grew nearly 9 percent, a rate similar to that of China. 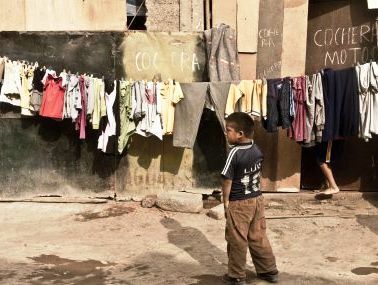 "The country has shown an average growth rate over 7 percent in the last five years, in the last decade it has grown at an average rate of 5 percent, which is having an impact on reducing poverty indicators," said Anibal Sanchez, the head of INEI. In urban areas, poverty declined by 2 percentage points to 19.1 percent, while in rural areas it fell 6.1 points to 54.2 percent, the government said. "The mountains and Amazon have the highest rates of extreme poverty, from 20.1 and 12.8 percent respectively, well above that recorded in the coast, from 2 percent," explained the INEI. The Huancavelica region, located 445 kilometers southeast of the capital, remains the poorest in the country, although it is rich in minerals and has the presence of important local mining such as Buenaventura.